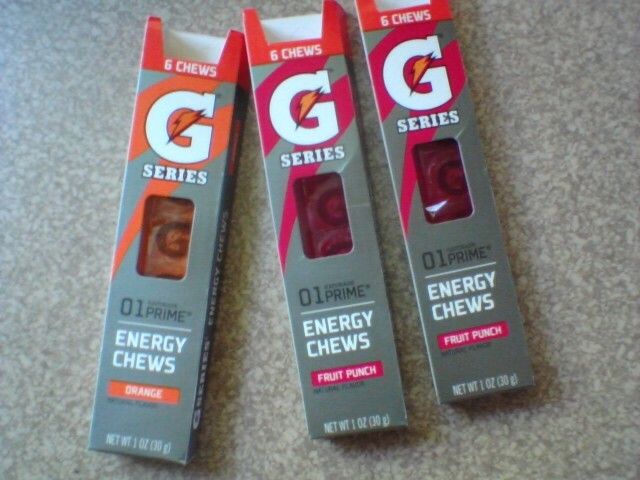 Kroger's had these G Series Energy Chews on sale 10 for $10 so I bought a few packages. Although I'm not running long or hard enough to necessitate the use of supplements, the heat seems to drain a lot of energy out of me (could really be mental, but whatever) and I am hoping these help a little. Speaking of which, I ran 6.18 without walking. It was more the 79° temperature and 50%-ish humidity that made it possible, though I'm sure the chews helped because it was a nice little progression run. There's really no need for me to be running six-milers right now, except that I registered for a 10k a few weeks ago. I did it more for motivation than anything, as I was struggling finding a reason to keep running. I figure the thought of crashing in front of a crowd would do it, and it sort of has. The race is the Logan's Run. I have never run this race before due to my usual race schedule, so I'm looking forward to it. Like the Holy Half 10k, this race course is run around Notre Dame's campus, including both their little lakes (read: SHADE!). It should be fun! My leg is doing alright. I am doing a few lower leg and foot strengthening exercises twice a week along with walking squats and lunges. The calf is responding to it, as there is less of a dull throbbing sensation after I run. I'm paying very close attention to it - if it starts affecting my stride or causes me to limp while walking, I'm going to back off. Between runs, I'm wearing a compression sleeve for half an hour at a time. Hopefully, everything continues to go well! Ohhh I've been wondering about this! Thank you for the update, lil' miss. A SHADY 10K?! What more could a girl need? Not much! I should start running with an umbrella. I'm fairly new to your blog. Did you have an injury? Back in May I developed a calf strain, along with my foot acting up. The foot pain has since healed up completely, but the calf is a little uneasy. So far, it's not as bad as it was, and I'm hoping with some precautions it won't get that bad again. I've googled compartment surgery plenty of times and I will try to avoid it at all costs. I'd like to try those energy chews, I'm constantly low on energy.